Interview with Joe Taylor, the founder of The Wave Project. Hi Joe! Please can you introduce yourself to our fellow Islanders? 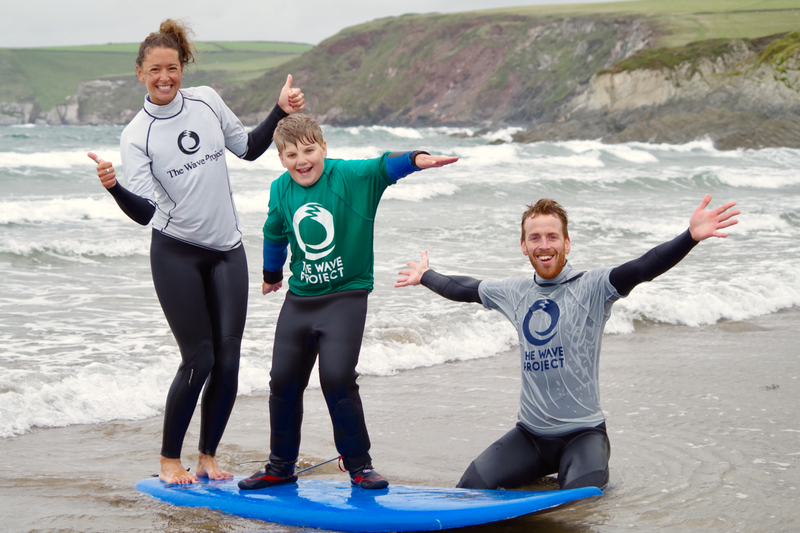 My name is Joe Taylor, founder and CEO of the Wave Project, a charity that sets up volunteer-run surfing projects to help children and young people improve their confidence and self-esteem. I originally trained as a journalist but moved into the voluntary sector about 12 years ago, supporting campaigns for disability charities. I helped to set up a disabled surf school in Newquay on a voluntary basis, and worked in volunteer management as a job. These two things ultimately led to setting up the Wave Project. We piloted the project in 2010 with funding from the NHS, and now operate across 12 sites in England, Wales and Scotland. We hope to launch our first project in Northern Ireland later this year. What an incredible journey you have been on so far, and it looks like you've got lots of exciting things to look forward to in the future as well. Can you tell us about some of the challenges that young people you work with face? We work with a wide range of young people who face different types of challenges, from depression and anxiety to low-confidence and isolation. The causes of their challenges are extremely varied. They include mental health difficulties, bullying, family breakdown, disability, isolation, trauma and bereavement. But when they are part of our project, we do not talk about their ‘problems’ – we just focus on their surfing and what they can accomplish. It's incredibly inspiring that you've set up a project that helps the kids to step out of their problems and embrace the joy and healing powers of the waves and surfing. What are you most proud of the charity achieving so far? I’m proud to have made a difference to the lives of so many young people and their families. My favourite part of the job is hearing young people’s stories, about how their lives have got better and how things have improved for them since taking part in the Wave Project. It reminds me that our work is valued and, in a small way, is making the world a happier place. You definitely deserve to feel proud with all that you have achieved! Why did you decide to collaborate with Pineapple Island? We love the values of Pineapple Island. The company focuses on wellbeing as well as style, which is what our charity is all about too! Can you let our Islanders know how else they can support you and get involved in helping The Wave Project?